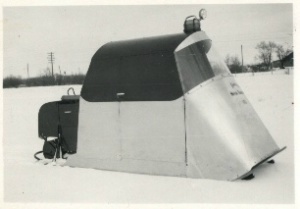 Here are some pictures of the Ingham motor toboggan. Photo supplied by Don Ingham. One of his first enclosed sleighs. These are two of their early motor toboggans. Please email them to me.